MAC has always been one of my favorite make up brands. I love the fun colors, the heavy pigmented shadows, and I especially love their charitable work. I still remember the first time I purchased MAC products. I was about 18 when I walked into a Nordstrom that carried the brand. I walked up to the counter and was quickly greeted by a wonderful MAC artist who taught me all kinds of neat little tricks to using the product. I purchased several brushes and shadows. The MAC artists showed me that you could create two looks with their shadow by simply going from using it as is to wetting your brush and applying it on the eyes for a more dramatic look. This works especially well with the dark shadows which you could use as eye liner! In addition, for those of you that don't know, there is a wonderful little perk to buying MAC products. When you are all finished with your product, DON'T THROW IT AWAY! They have this wonderful recycling program called 'Back To MAC' that allows you to bring 6 empty containers to one of their stores in exchange for a lipstick, eyeshadow or lipgloss. Note that you may do the same thing at your local MAC counter but are only allowed to pick a lipstick for every 6 items you bring back. For me it's about convenience. The MAC counter is only 5 minutes away whereas a MAC store is about a 1/2 hour drive away. Therefore i typically exchange my empty containers for a lipstick which is fantastic anyway considering it's free AND you are helping the environment along the way so it's a WIN WIN situation! So today, I ran to Nordstrom and scored these two gorgeous lipsticks. 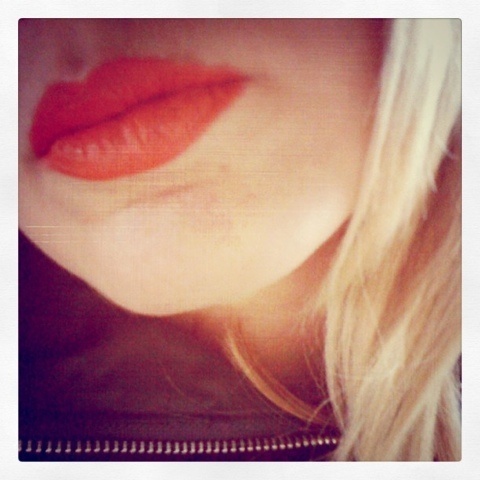 One is a fun orange color 'So Chaud' (retails for $14.50) in keeping with the current trend of adding a pop of color. The other is a fab red shade called 'Brave Red' (retails for $14.50) which is classic and adds instant glam to any outfit. 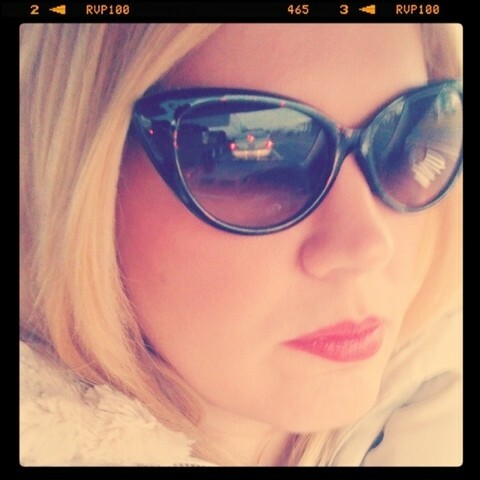 Perfect for adding a tad bit of color to those dark, gloomy Winter days... and THIS is why i love to shop at MAC!